Supreme Guide Mohamed Badie was among those found guilty of attacking Adawa police station and killing a policeman. A court in Minya, Egypt, has passed death sentences on 683 supporters of former president Mohamed Morsi, including leading members of the Muslim Brotherhood. The charges are related to violent riots in the central Egyptian city of Minya in August, including the murder of a police officer. In the second case relating to 529 Muslim Brotherhood supporters who were sentenced to death in the same court in Minya last month, the judge upheld 37 death sentences but reversed the death sentences sentences of the other 492, commuting most to life in prison. Most of the people sentenced are being tried in absentia. 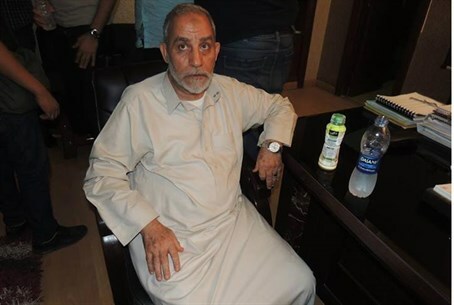 The Islamist group's Supreme Guide Mohamed Badie was among the defendants found guilty Monday of attacking Adawa police station and killing a police officer, Mamdouh Kotb Mohamed Kotb, on August 14, 2013 – following the dispersal of pro-Morsi sit-ins at Rabaa and Nahda squares. They were also found guilty of committing violence, rioting, attacking public and private property and police officers, and inciting violence. The verdicts have to be ratified by the grand mufti of Al-Azhar – the highest Islamic authority in the country – before they can be carried out. The court has set June 21 for the final verdict to be passed, after the grand mufti has made his recommendation. The law allows the verdicts to be appealed. The mass sentencing in March was condemned by the West, with the United States warning Egypt that executing supporters of the Muslim Brotherhood may affect the aid that Washington provides to Cairo. The latest case comes amid a continuing crackdown against Islamists by Egypt's military-backed government. Hundreds of Islamists have been placed on trial, while Morsi’s the Muslim Brotherhood has been outlawed and designated as a terrorist organization by the army-led government.